Home › Entertainment › Did Kate and Leo Finally Make it to the Altar? Did Kate and Leo Finally Make it to the Altar? Talk about a Titanic secret. 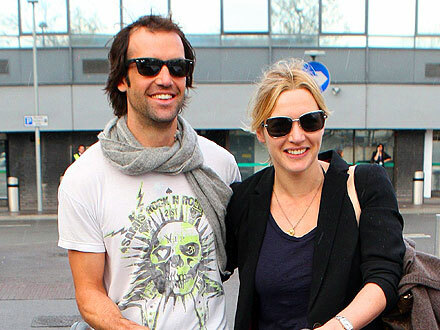 Kate Winslet has tied the knot with Richard Branson’s nephew, Ned Rocknroll, her rep tells PEOPLE. According to British media reports, Leonardo DiCaprio gave away the bride in a ceremony so secret that the bride and groom’s parents didn’t know about it. The Oscar-, Golden Globe- and Emmy-winning actress, 37, has been dating Rocknroll, 34, (his legal name) since fall of 2011. In August 2011, she and Rocknroll were on the same Caribbean island owned by Branson when a fire broke out and Winslet rescued Branson’s 90-year-old mother. Winslet previously was married to Sam Mendes and Jim Threapleton. If I were her, I would marry in secret, too. Hell, I’d marry in secret even as myself. Not that Kate has a record for extravagant weddings — her last two were extremely private and tasteful. I can’t believe that the Leo thing is really true. That seems a little cheesy for him. If it is true, then Titanic fans around the globe will rejoice in fangirl wonder. I may or may not be included in that group…. Fifty Shades of Grey, The Movie: Is Improvement Even a Possibility?